Dr Rosemary Johnston is Professor of Education and Culture at UTS. She is the Founding Director of the International Research Centre for Youth Futures, which evolved out of the Australian Centre for Child and Youth: Culture and Wellbeing. The International Research Centre for Youth Futures is an interdisciplinary centre concerned with the multiple influences on the futures of children and young people: literacy and numeracy; school education; Indigenous education; health and healthy lifestyles; future-focus learning and curricula; children's literature and culture; parenting practices; learning spaces; education and the arts; public policies and social media. Professor Johnston has been a Chief Investigator on three ARC Linkage Grants and is one of three international CIs on a UK Leverhulme Trust Grant investigating Children and War 1890-1919. This project has led to the recently published book, Children’s Literature and Culture of the First World War (Routledge 2016), which she co-edited. Literate Australia (PDF, 662kb), which is an umbrella for a number of cell projects that have specific outcomes relating to the education, cultural awareness and wellbeing of children and youth. These include the Sharing Creative Cultures project for primary schools. Literacy does not only pertain to education; it relates to and is influenced by health, parenting practices, communities and cultures of influence, and the larger sphere of government policies.The Literate Australia cell projects are committed to developing educational and community initiatives that enhance not only skills, but the imaginations and minds that help to generate creative and civil societies. IMC SKY HIGH, which started in July 2012 with 24 students, has grown to almost 200, and is taking in 6 new schools next year. IMC SKY HIGH aims to encourage engagement and retention in school education, aspiration and knowledge about how to achieve goals, literacy, social skills, and an expansive sense of options for futures. Australopedia is an innovative digital multimedia encyclopedia linked to curriculum and built by schoolchildren as part of their normal schoolwork. It celebrates people, place and local community. This project is being introduced by IMC Sky High schools in Greater Sydney and selected remote Indigenous schools in Western Australia. External Engagement and International Coordinator, School of Education. H.W. Donner International Research Chair in the Faculty of Humanities at Åbo Akademi University, Finland, working with an interdisciplinary doctoral training program which included literature, language, semiotics, cultural studies, folklore, education and gender studies. Director of the Centre for Research and Education in the Arts (CREA) UTS 1998-2006. CREA's application, Creating Community ~ Connecting Communities, was shortlisted in the 2002 Australian Awards for University Teaching Institutional Award: Category 3 - Innovative and practical approach to the provision of educational services to the local and/or regional community. 1996–2008 Vice-President and Assistant Secretary-General: Fédération Internationale des Langues et Littératures Modernes (FILLM, affiliated to UNESCO). 1997–2001 Secretary: International Research Society for Children's Literature (IRSCL). 1997–2002 Foundation Member of Inaugural Board: Australasian Children's Literature Association for Research. 1998–2008 International Representative and Member of International Board: Montgomery Institute (Canada). 2014 Assessing Development In and Through Visual Arts: Case studies of five Hong Kong Pre-schoolers. Australian literature and children's literature; multimodal literacy education and learning; story and technology; poetics and theory of children's literature; indigenous education; school education; children's drama and culture; transdisciplinarity. Literature, Australian literature, Children's Literature and culture, Drama, Teaching ESL in international contexts, Literary Theory (in undergraduate and graduate programs). Supervision of research students in literature, children's literature and culture,Indigneous culture and education, learning futures and learning spaces, Australian women's studies, education and the arts. We are living in a time of radical change, and ideas about teaching and learning are changing too: what knowledge do students need now and in the future, and how can we nourish this? By encouraging a broader and deeper knowledge of this country, its history, people, art and literature, Australian Literature for Young People not only familiarises readers with landmarks in Australian literature but addresses key contemporary concerns such as the need to be creative and imaginative, to think across disciplines, and to communicate and collaborate. Primary and secondary teachers, parents and pre-service education students will be inspired to explore Australia's distinctive literary heritage for themselves, and to embrace their very significant role in encouraging children in reading. Research discussed in this book shows that reading is important not only as the key to education but as part of health and wellbeing. Growing understandings of the structures and aesthetics of literature and deeper engagement with its rich ideas help young people become true global citizens. A comprehensive, research-based approach drawing on contemporary sources. Engages with Australia's Indigenous heritage throughout, noting the contribution it makes and should make across the educational spectrum. Makes reference to Western literary heritages and to those of other Asia-Pacific countries. 'Muse points' promote creativity and imagination by asking readers to engage with chapter content – and beyond. Poetics chapter explores the characteristics of Australian literature. Appropriate for senior school students, including those undertaking the International Baccalaureate. Johnston, R.R. 2014, Starting Out: Introducing the book, Oxford University Press. Johnston, R 2014, David Almond, Palgrave Macmillan. 1. Introduction: David. Almond. and. Mystical. Realism. Rosemary. Ross. Johnston, RR 2009, Literate Australia: A Monograph, Centre for Child & Youth: Culture & Wellbeing, University of Technology, Sydney. Johnston, R.R. 2006, Literacy: Reading, Writing and Children's Literature, Third, Oxford University Press, Melbourne, Australia. Winch, G., Johnston, R.R., March, P., Ljungdahl, L. & Holliday, M. 2004, Literacy: Reading, Writing and Children's Literature, 2nd, Oxford University Press, Melbourne, Australia. Johnston, RR 1995, On Being an Australian Woman: Colleen Klein's Representations of Female Subjectivity, Macquarie University. Johnston, R.R. 2014, 'Literary Literacies: Digital, Cultural, Narrative, Critical and Deep Literacies', Literacy: Reading, Writing and Children's Literature. Johnston, R.R. 2014, 'Literature, the Curriculum and 21st century Literacy', Literacy: Reading, Writing and Children's Literature. In 2010, the Leverhulme Trust partially funded three 'Approaching War' international conferences (Australia in 2011, Canada in 2012 and the UK in 2013) to explore the impact of the First World War on children and childhood culture from three different geographical and cultural perspectives: the Global South, the Americas and Europe. As our article provides the first analysis of the perspectives gathered from those conferences, we address the seismic historical reinterpretation of the war over the century. In the immediate aftermath, Australia and Canada both cited the First World War as the moment when they emerged from their colonial status into independent countries with distinct national myths characterised by courage and sacrifice. The children's books of the period, particularly Ethel Turner's (1915) The Cub in Australia and L. M. Montgomery's (1921) Rilla of Ingleside in Canada, defined national identities, and marked Germans as the enemy. As the political landscape changed dramatically over the century, so has children's literature, focusing on the personal tragedies across border lines, as in Michael Morpurgo's (1982) War Horse. A century on, archival research has also turned up the actual words and images of children – on both sides of the conflict. We track the changes. We researched stakeholder opinions of the hospital school experience and discovered key issues to be transition, professional development of educators, and technology's role in enhancing a sense of student connection. Laundry is a potential new end use of recycled water in dual reticulation systems. Generally, the community is willing to accept this new end use if it can meet the concerns on health issues, durability of washing machine, cloth quality and aesthetic appearance. This study addresses all these major concerns thereby assisting in the introduction and promotion of this new end use in the existing and proposed dual reticulation systems. Five representative cloth materials were selected for washing in tap water and in recycled water for up to 50 wash cycles for comparative studies. The tearing/tensile strength tests were used for the assessment of cloth durability. ANOVA one way test was applied for the significance analysis (Tukey's test p b 0.05) which indicated that there is no significant change in the tensile/tearing strengths of washed cloth samples. Scanning electron microscope (SEM) images of the washed cloth samples found no distinct change in surface morphology. Textile colour analysis (CIEDE2000) analysed the variation in colour of the washed cloth samples and showed that the change in colour ?E ranges from 01 revealing no visible difference in colour of cloth samples. Langelier Saturation Index (LSI) was used as the indicator for predicting corrosive/scaling potential of recycled water. The LSI values ranged from +0.5 to -0.5, indicating no corrosive or scaling potential of recycled water. The microbiological study of the cloth samples washed in recycled water indicated that there was no contamination with representative bacteria. As the recycled water has similar effects like tap water on cloth and washing machine, it is safe to use for laundry. This paper emerges from literary and literacy perspectives and proposes, in a context of cultural shift and with reference to theories of the literary `slipstream, that some of the labels attributed to literature for the young are no longer helpful and may indeed complicate the entry of young readers (especially those less motivated) into the larger worlds of the aesthetic and literary continuum. It stresses the often profound significance of childrens literature, the idea of an ethics of hope, and the importance of deep literacy. Johnston, RR 2011, '3.4 Case study–The Island by Armin Greder', Children's Literature Studies: A Research Handbook, pp. 91-91. Stephens, J, Hollindale, P, Bull, G, Morgan, W, Machet, M & Johnston, RR 2010, 'Peer Reviewed', Asia Pacific Journal of Environmental Law, vol. 13. This paper suggests that the ultimate `otherness' of children's literature is not of `wildnesss' in its many manifestations, nor difference, nor ethnic heritage, nor even imaginative distinctiveness, although there exist telling examples of all of these. Rather, it is the incipient otherness of non-being. Paradoxically, growth into beingness, into subjectivity and identity, is progressively and ever more insistently stalked by this otherness of non-being of non-being a child by growing up and out of `childhood', of the potential nonbeingness of loved others, but most of all, and most deeply and most profoundly, of knowledge of the inevitable non-being of self. That is, the ultimate other of children's literature, and indeed of life, is the otherness of death. This paper begins an exploration of these ideas by referring to three well-known children's plays, one that spans a century and has become a cultural icon and two that are the works of one of the best writers of our day. The complex and sensual genre of plays for theatre - itself somewhat of an other in critical discussions of children's literature - offers a particularly acute focus for such a study: theatre involves writers and producers, actors and audiences, in aesthetic and kinesthetic conventions that are at once corporate and intimate, physical and intellectual, visual and aural. The plays for discussion are Peter Pan or The Boy Who Would Not Grow Up by J. M. Barrie, and Wild Girl, Wild Boy and Skellig, The Play both by David Almond. Winch, G, Johnston, RR, March, P, Ljungdahl, L & Holliday, M 2006, 'Literacy', Reading and Writing and Childrens Literature. Johnston, RR, Stephens, J & others 2006, 'CREArTA'. This article notes the significance of the contribution that literary researchers - who must see themselves as `researchers-as-artists' - make in the area of policy and politics. The `researcher-as-artist' chooses words aesthetically to tell stories that construct new stages for debate and discussion, and that inspire governments and policy-makers, They push intellectual boundaries; they challenge; they stimulate and confer visibility on creative ideas; they provoke - artistically, educationally and morally; and make connections. They encourage new ways of looking and seeing. Thus, for example, they can contribute to discussions of soap operas and connect them to folk-tales - tales of the folk, endlessly repeated variations on common themes. Using a literary optic in this way demonstrates not only the evolutionary powers of literature, but the vital role of literary researchers and of the stories they tell. Johnston, RR & Beckett, S 2003, 'The International Research Society for Children's Literature (IRSCL)', DIOGENES, pp. 122-125. Johnston, RR & Beckett, S 2003, 'The International Research Society for Children's Literature (IRSCL). (Appendix: FILLM–history and objectives)', Diogenes, vol. 50, pp. 122-126. Referring to four recent Australian children's books, this paper argues that children's literature contributes to a phenomenology of landscape. Using Bakhtinian theory as a starting point and developing an idea of the "visual chronotope" to describe the relationship of people and events to time and space in the pictures of picturebooks, it notes that the construction of time-space in narrative is ideologically encoded. It proposes that there is a characteristic interplay in picturebooks between "present" and what Bakhtin called "great time," and that this interplay emerges out of the relationship between verbal and visual chronotopes. The Australian texts studied here suggest a significant metaphysical relationship with the bush/desert/wild place of Australian landscapes. Johnston, RR 2002, 'A chrontope of childhood narrative', Languages as communication, pp. 136-157. Johnston, RR 2002, 'A narrative chronotope', Children's Literature as Communication: The ChiLPA Project, vol. 2, pp. 137-137. Johnston, RR 2002, 'Pertinent ou non? Littérature et recherche littéraire en ces temps troubles', Diogène, pp. 29-39. Johnston, R.R. 2001, 'Routes to Imaginative Literacy for Young People', Diadromes, vol. Second Pd., no. 1, pp. 15-23. Johnston, RR 2001, 'Picture books: The third space', Literacy-Reading, writing, and children's literature, pp. 400-413. Johnston, R.R. 2000, 'The literacy of the imagination', Bookbird, vol. 38, no. 1, pp. 25-30. Literacy," writes Margaret Meek, "has two beginnings: one, in the world, the other, in each person who learns to read and write. "1 Literacy-reading and writing-is important because we are social beings in a world of others. That this is also a world of ever-developing technologies complicates conceptions of literacy and demands of us a rethinking of the links between literacy and literature. Literacy is a plurality of complex skills. As Meek's comments imply, prescriptive language symbols are processed not only communally by sociohistorical consensus but also privately by the individual. For example, when Max in Maurice Sendak's Where the Wild Things Are (New York: Harper & Row,1963) leaves the wild things and comes back "into the night of his very own room where he found his supper waiting for him," the words "supper" and "very own room" connote much more than a meal or a place of habitation. But precisely what they connote will depend to some degree on the individual reader. Similarly, when Alice and her father "had another cookie" at the end of Perry Nodelman's picture book Alice Falls Apart (Winnipeg: Bain & Cox, 1996), they are doing more than assuaging hunger. The impulses that reach out beyond these words are also likely to be recognized differently by different readers, because literacy is not only of the world, it is also of us, of the individual worlds that we each inhabit. Johnston, R.R. 2000, 'The arts at the beginning of a new millenium', CREArTA, vol. 1, no. 1, pp. 4-22. Johnston, R.R. 1998, 'Thisness and Everydayness in Children's Literature: The 'being-in-the-world proposed by text'', Papers: Explorations into Children's Literature, vol. 8, no. 1, pp. 25-35. Johnston, R.R. 1998, 'Time-space: History as Palimpsest and Mise-en-Abyme in Children's Literature', Orana, vol. 34, no. 3, pp. 18-24. Johnston, R & others 1998, 'Time-space: history as palimpsest and mise-en-abyme in children's literature. [How the past of history streams into the present of story]', Orana, vol. 34, pp. 18-18. Johnston, R.R. 1997, '"Reaching beyond the World": Religious Themes as "Deep Structure" in the "Anne" Books of L.M Montgomery', Canadian Children's Literature, vol. 23, no. 4, pp. 7-18. Johnston, R.R. 1995, 'Of dialogue and desire: Children's literature and the needs of the reluctant L2 reader', Australian Journal of Language and Literacy, vol. 18, no. 4, pp. 293-303. Johnston, R.R., 'GLOBALISATION, MULTICULTURALISM AND A NEW ERA'. Hollindale, P., Bull, G., Morgan, W., Machet, M. & Johnston, R.R., 'John Stephens is an Associate Professor in English at Macquarie University, Sydney. 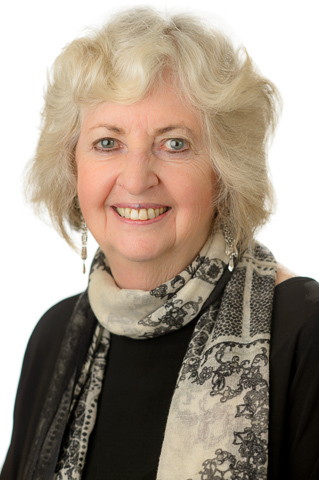 H e is the author of three books (of which Language and Ideology in Children's Fiction was short-listed for the ChLA Prize for a Critical Book in 1992). Address: School of English, Linguistics and Media, Macquarie'. Johnston, R., 'VISUAL LITERACY CONFERENCE'. One of the most exciting areas of research in children's literature is the study of visual texts as literature. In one sense, all printed texts (except that produced in Braille - and at some levels even that) are visual: editors and publishers make decisions about visual impact that relate to typeface, size of font, shape of book, arrangement of title page and so on. Poetry is arranged visually; in fact, in most cases we can guess both a book's genre and who a book is meant for, simply by looking at its cover. Johnston, R.R. 2011, 'Reader Response' in Grenby, M.O. & Reynolds, K. (eds), Children's Literature Studies: A Research Handbook, Palgrave MacMillan, UK, pp. 133-141. There are three necessary components in the reading act: a reader, a writer, and a text. At the centre of the reading act is the making of meaning. So, who or what makes this meaning- is it the reader, the writer or the text? In reader response theory, focus is on how what the reader brings to the text in terms of literary competence, experience, training and education, world view and socio-cultural moment affects meaning. Johnston, R.R. 2011, 'Gender' in Grenby, M.O. & Reynolds, K. (eds), Children's Literature Studies: A Research Handbook, Palgrave MacMillan, UK, pp. 151-161. Johnston, RR 2011, '5.3 Reader response', Palgrave Macmillan, pp. 133-133. Johnston, R.R. 2010, 'The Organic Classroom: A Locus of Creative Literate Practises' in Winch, G., Johnston, R., March, P., Ljungdahl, L. & Holliday, M. (eds), Literacy:Reading,writing and children's literature, Oxford University Press, England, pp. 662-681. Johnston, R.R. 2006, 'Visual Literacy: Reading the world of signs' in Venetia Somerset (ed), Literacy: reading, writing and children's literature, Oxford University Press, Melbourne, Australia, pp. 516-537. Johnston, R.R. 2004, '"Reaching beyond the Word": Religious Themes as "Deep Structure" in the Anne Books of L.M. Montgomery' in Scot Peacock (ed), Children's Literature Review 91, Gale, Detroit, USA. Maher, D., Perry, R.M., Currie, J.L. & Johnston, R.R. 2011, 'Kids Continually Connected: An exploration of education, social interaction, and transition support for students in Australian hospital schools. ', H.E.L.P. Health, educators, learners and practitioners. Inaugural Australasian H. E. L. P. Conference., Coogee, Sydney. Kids Continually Connected grew from a desire to support students who are dislocated from their peer groups and home schools through extended periods of illness or treatment. An understanding of online âspacesâ (academic and social) was considered crucial in helping students to overcome the isolation some of them feel when removed from their peer groups for extended periods of time. To ensure adequate understanding of the key issues, technological accessibility and needs of students, their families and teachers within the hospital schools, a small background study was developed as an effective first step and potential springboard into a more detailed and focused future study. This paper presents the initial findings from the background study involving teachers, families and students in three Australian and one New Zealand hospital school. Teachersâ, studentsâ and familiesâ perspectives were explored regarding transition issues, spaces for interaction and available technology, with data presented alongside recent research in the area and suggestions for ways forward. Johnston, R.R. 2010, 'Family, Traditions and Values in the 21st Century Knowledge Age', Children and Family Conference, Antalya, Turkey, pp. 149-154. Johnston, R.R. 1999, 'The Arthurian Paradigm: Representations of Female Subjectivity and Reflections of Female Space', The Grail Quest, The Center for Research and Education in the Arts, University of Sydney, pp. 82-88. This paper will discuss the growing interest in transdisciplinarity and consider its implications for teaching and learning at primary, secondary and tertiary levels. Transdisciplinarity is distinct from multidisciplinarity and interdisciplinarity but there is confusion about what it actually is: the terms have been to some degree used interchangeably. The paper will seek to clarify understandings of what transdisciplinarity means and how it may contribute to the idea and work of schools and universities, and encourage viable links between them. Johnston, R.R. 1997, 'The Little Australian: Children's Literature Advancing Australia', Old Neighbours, New Visions, Centre for Children's Literature, University of South Australia, Adelaide, Australia, pp. 71-80. Johnston, R.R. 2012, 'Oh Lockhart'. Johnston, R.R., 'Building Literate Nations National Forum, Opening Address the Governor General'. Johnston, R.R. UTS Sydney 2010, imagiNations and deep literacy: ideas, dreams an dvisions for Australian futures, Australia. Literate Australia is an umbrella for a number of interdisciplinary cell projects that have specific outcomes relating to the education, culture and wellbeing of children and youth. Literacy and the idea of a literate nation are not just educational issues but ones that relate to and are influenced by health, parenting practices, nutrition, communities and cultures of influence, and the larger sphere of government policies. Johnston, RR 2016, 'Nationhood, Literacy and Curriculum: Literate Australia'. Johnston, RR 2016, 'Facing the Future: Challenges for Church and School'. Auh, M-S & Johnston, R 2001, 'A comparison of the Consensual Assessment Technique and expert judges evaluations using criteria for assessing creativity in musical compositions and invented stories by children. The 2001 University of Technology, Change and Education research Group (CERG) conference. Retrieved October, 9, 2007'.